Your flower building stamp sets are so lovely! Another brilliant release. The gardenia is just gorgeous and your team have highlighted the set beautifully. 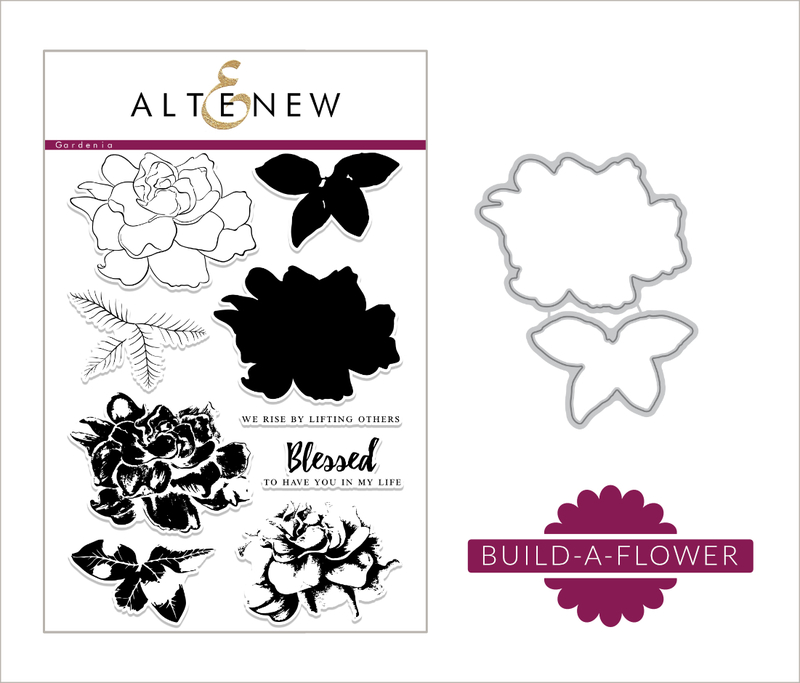 I love gardenias, so I’m very happy to see this design added to your Build A Flower collection. Beautiful design team samples really showcase how lovely this is! Love this new stamp set! I love these build a flower sets! As always you’ve created another great way to be inspired and to inspire! Lovely stamp set! Love the build a flower sets! Love the beautiful Gardenia set. The cards are fabulous. Beautiful set. Your layering sets are just wonderful. These are beautiful! Love the various flower colors! Gorgeous! But that isn’t new from Altenew! Wow! What a beautiful new stamp set … and those cards are amazing! I love the pink one the best :) AWESOME!! gorgeous, inspiring…love them all! Fab new release. I like all four cards. Very beautiful flowers. OMG, I have a gardenia bush in my back yard. Your stamp/die are so beautiful. I simply LOVE your site and the stamps/dies that you produce. Thanks so much for sharing your talent with us. I just these layering effects! I was so happy to see the Gardenia was the build a flower of the month, it is one of my favorite flowers in my garden. It is so Beautiful. Beautiful cards! 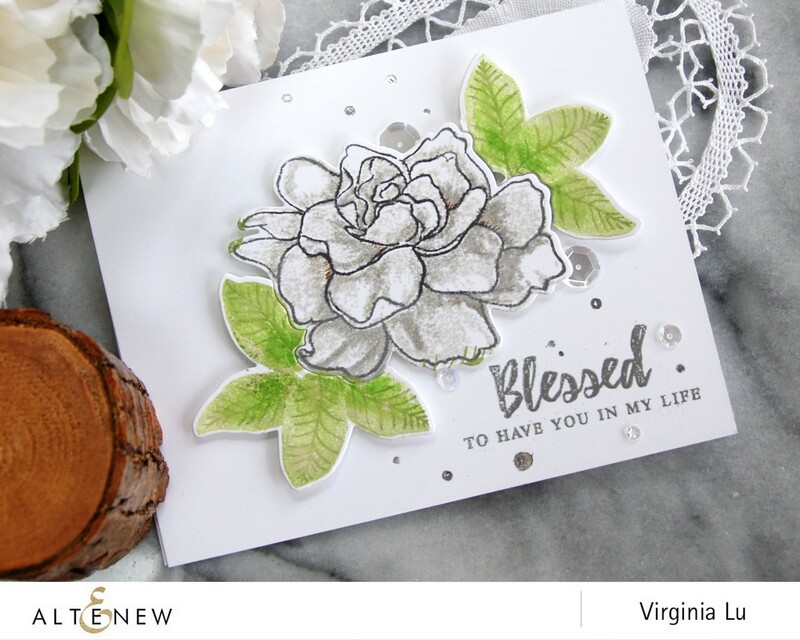 The gardenia is another fabulous build-a-flower stamp! Loving them all. 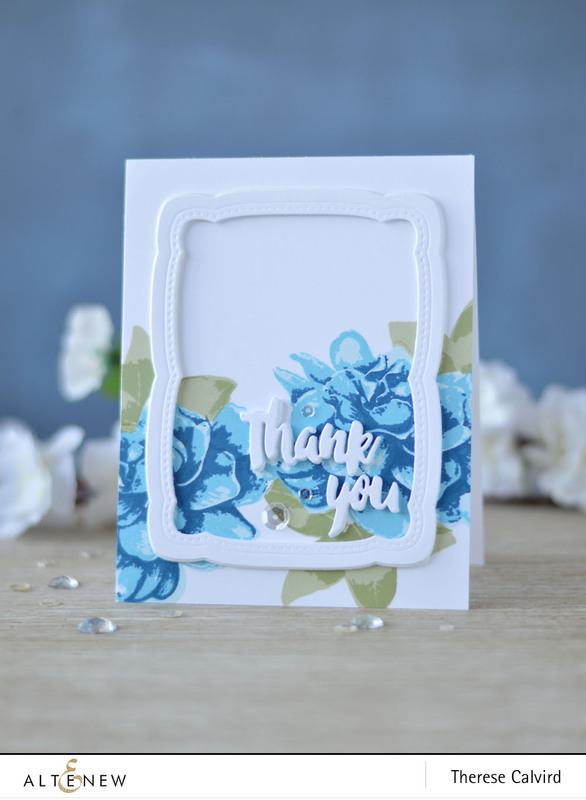 The colours Svitlana used in her card are gorgeous! Wow your releases are always awesome. Oh my the Gardinia stamps and dies set is amazing. I just love your products. Thank you for a chance of winning. How beautiful! Great inspiration from the designers as always! Love the different color variations! Lovely stamp set! I absolutely love the dimensional look and authenticity of your stamps-flowers that look so real you want to reach out and pick them. Each and every project i have seen created with your images is outstanding! They are all beautiful. Too bad we can’t replicate their fragrance too! 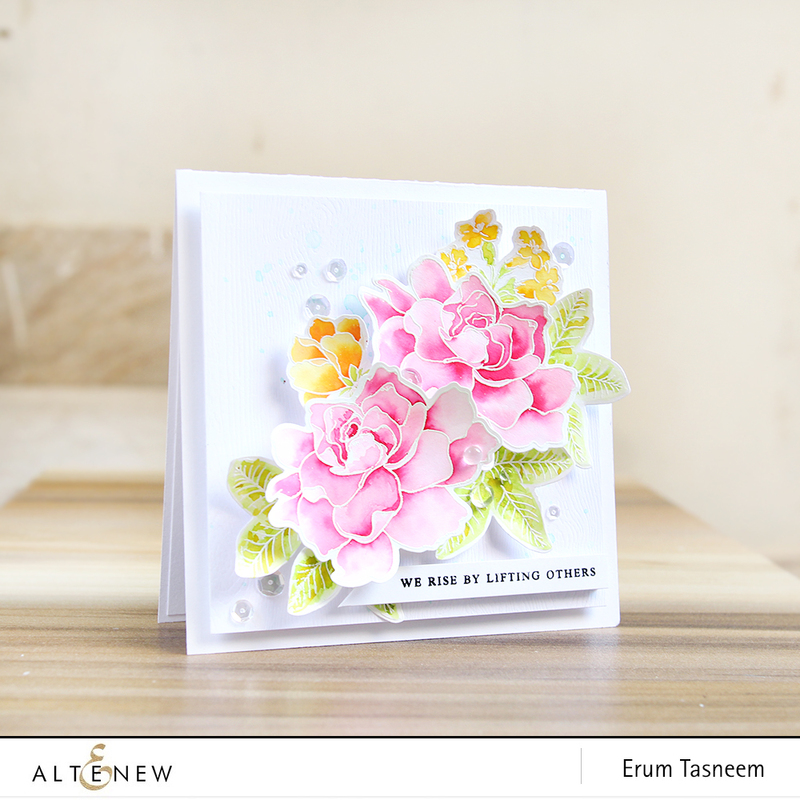 LOVE, LOVE, LOVE the Altenew Floral sets. Their detail is so amazing and the cards by the designers always blow me away. It’s amazing how realistic your floral stamps look! I love the card with the white frame. This flower set is so beautiful and the layering gives a realistic look. The white version on white is my favorite! Beautiful cards! Looks like a great stamp set. Thank you so much for sharing them. The gardenia set is absolutely stunning!! I love all the different cards with this set! This is definitely going on my Christmas wish list. Wow… another wonderful floral stamp set. Gorgeous cards showcased it well. Love all the cards. This set is stunning! Love it!! Such a wonderful stamp set. Great cards by the DT. 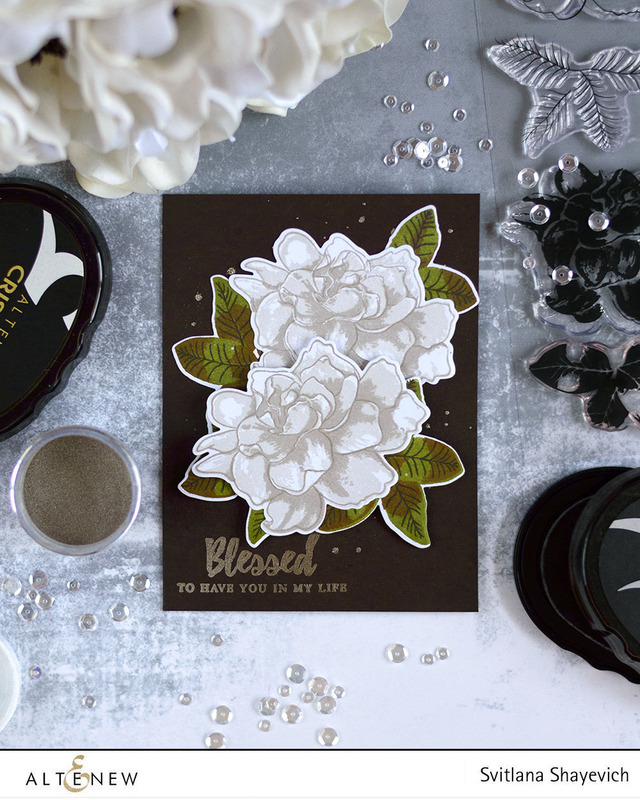 Love this gardenia stamp set and the beautiful cards The Team made! Wow! Wow! The white Gardenia flower jumped off the card. How absolutely beautiful! I just received my Build-A-Flower Gardenia set. I am in love with all of your floral stamps and dies. So looking forward to creating with all your stamps! You have the most beautiful flowers! Simply amazing! This is a really beautiful set. I absolutely adore it and can’t wait to get my hands on it. It’s a simple set but so versatile. I keep thinking to myself that I have enough Altenew flower sets, yet once again I need another!